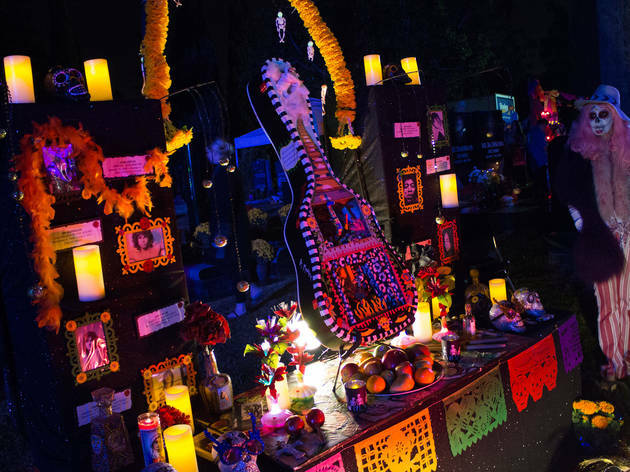 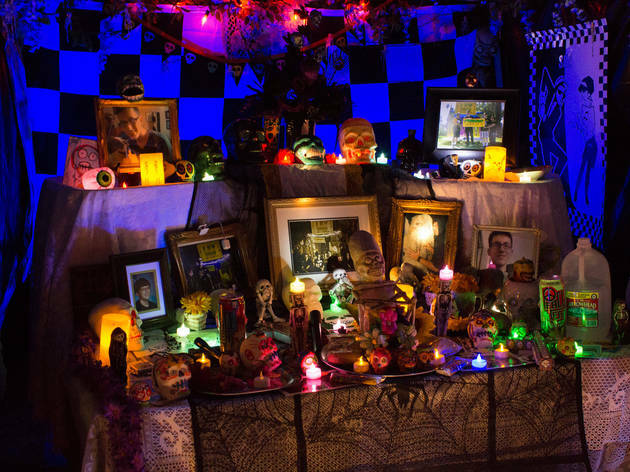 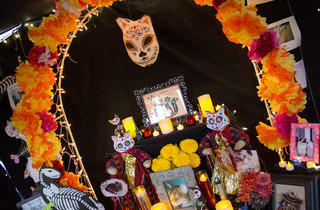 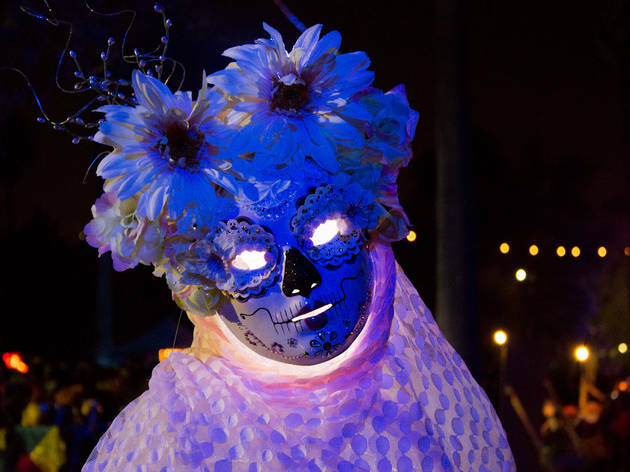 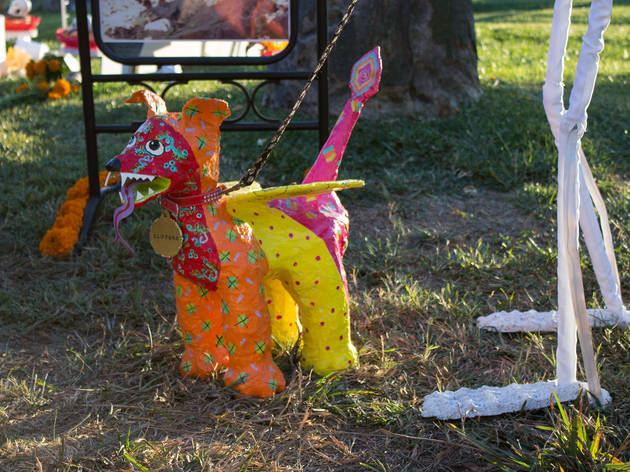 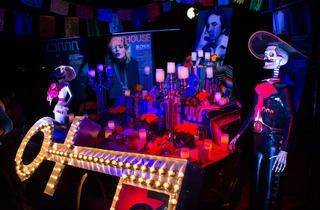 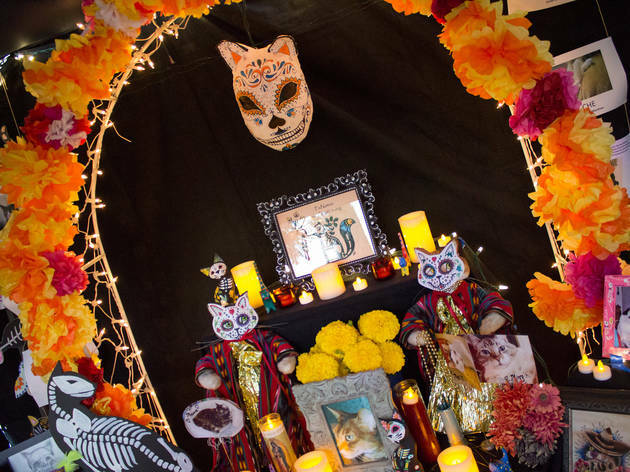 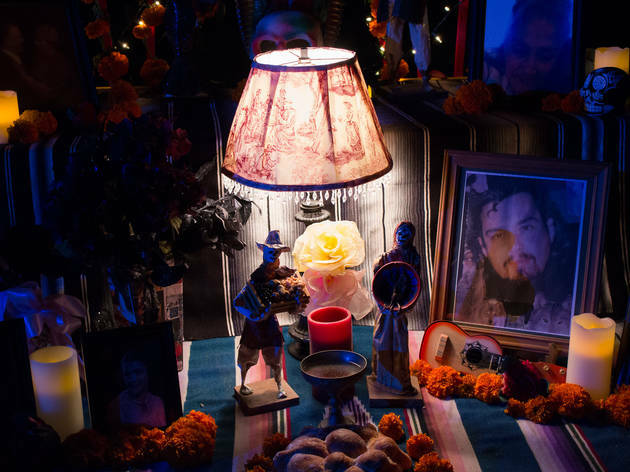 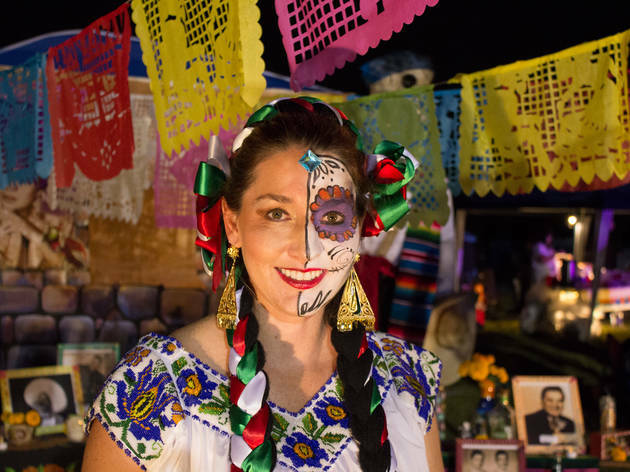 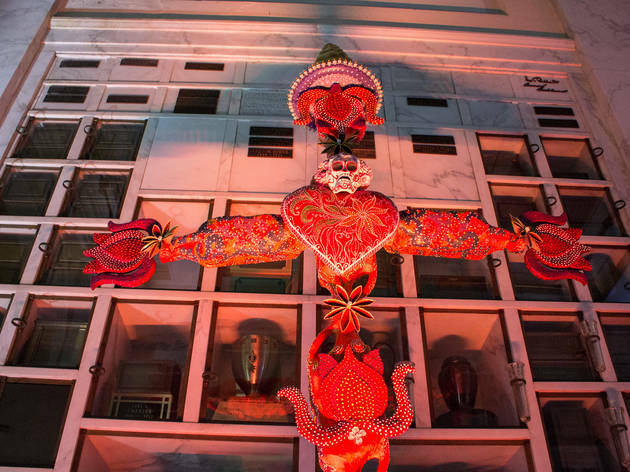 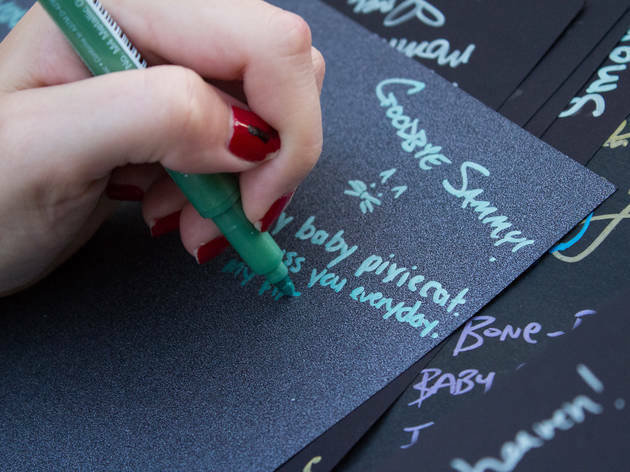 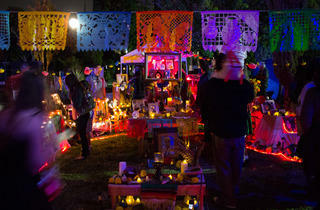 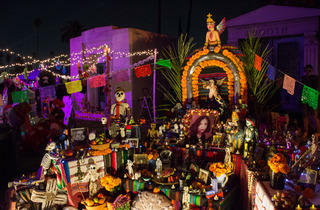 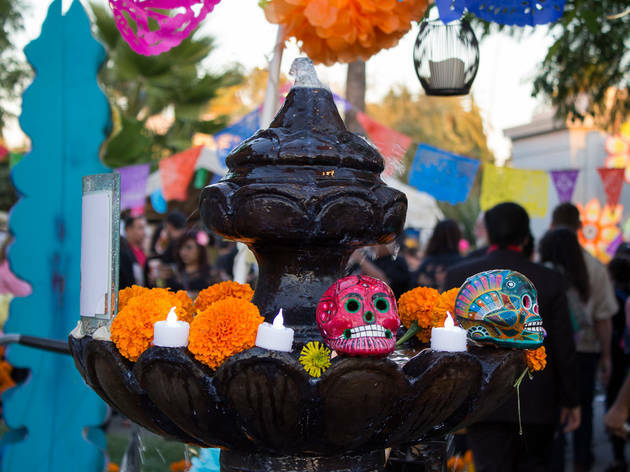 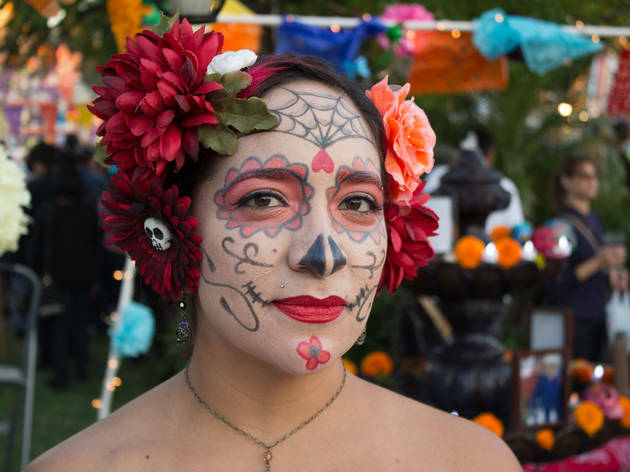 We weaved through calacas of all colors at Hollywood Forever's famed Día de los Muertos to find the celebration's most stunning altars and outfits. 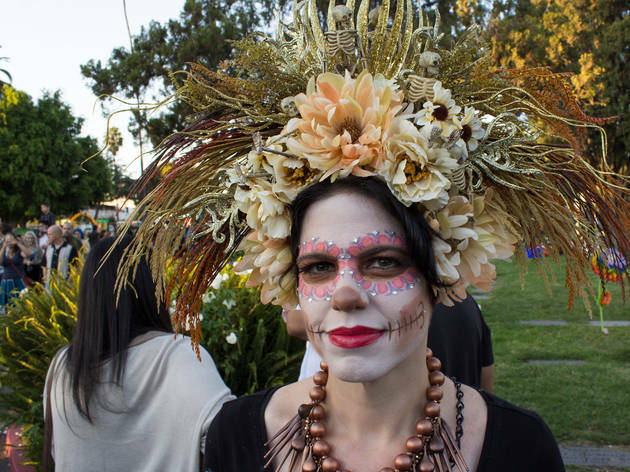 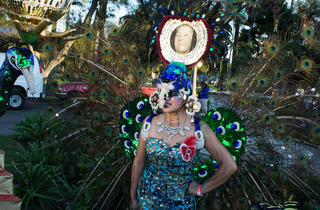 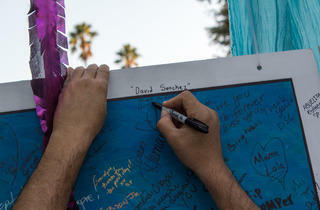 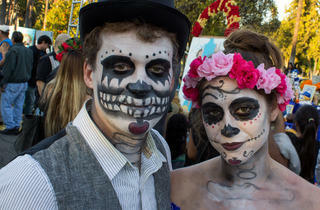 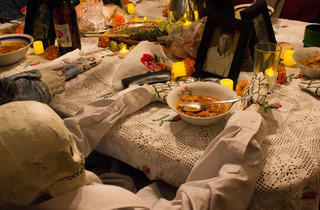 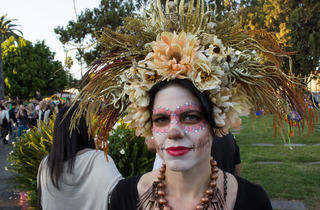 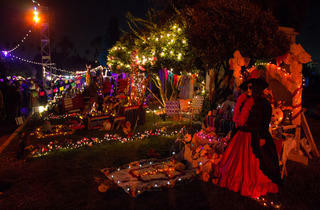 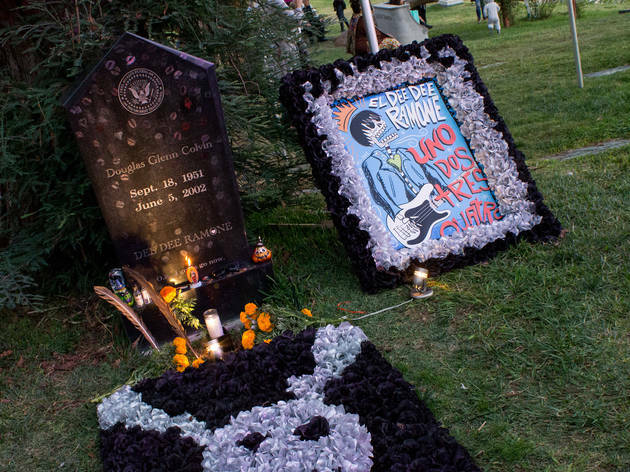 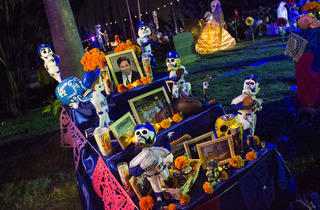 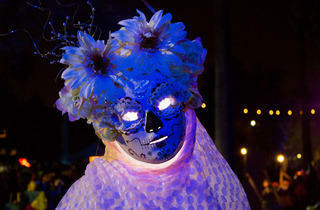 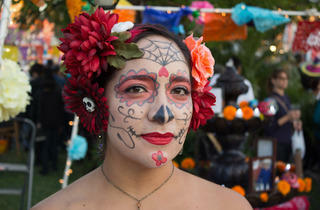 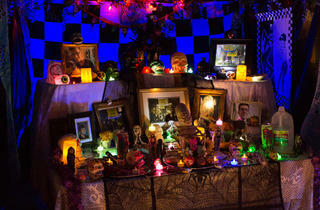 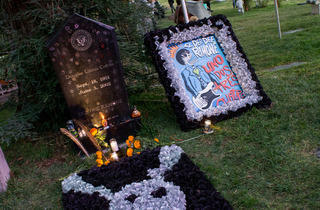 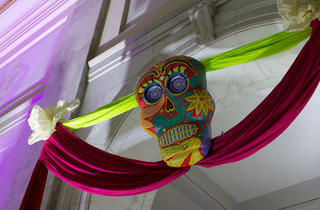 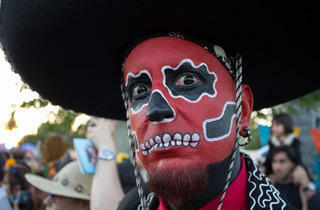 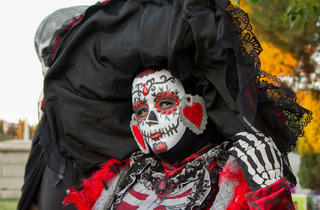 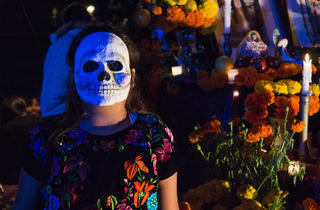 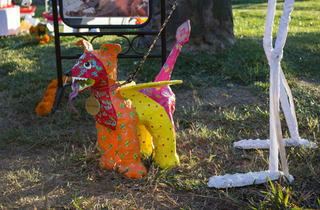 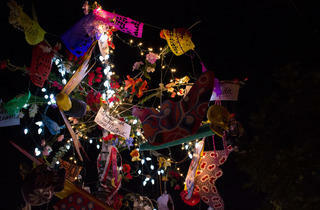 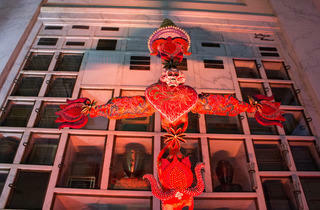 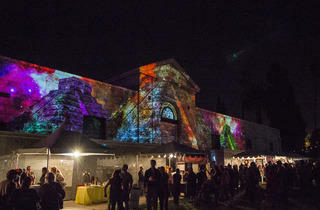 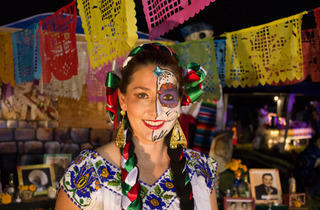 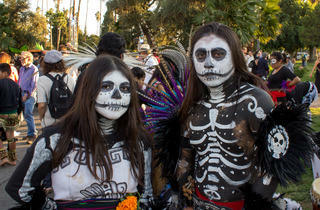 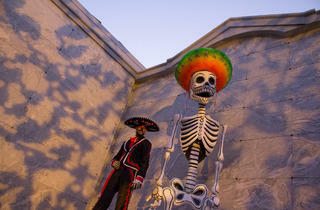 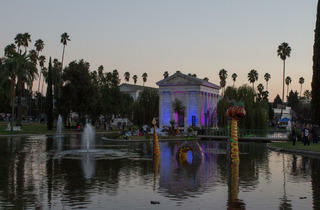 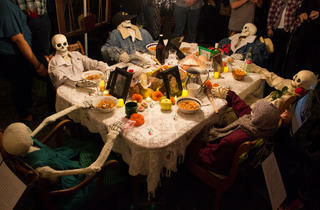 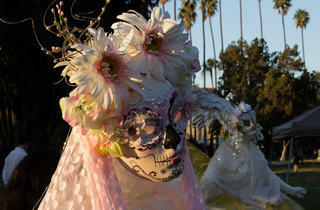 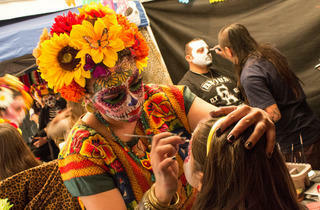 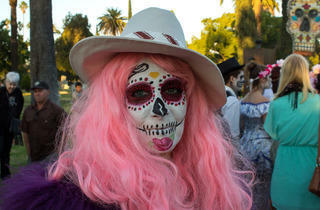 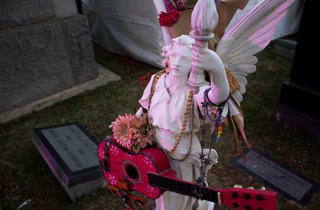 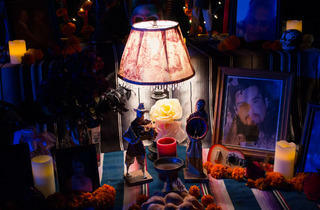 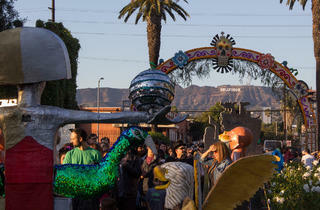 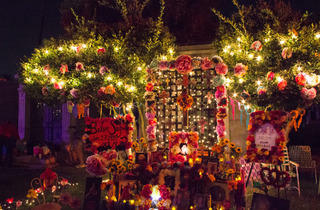 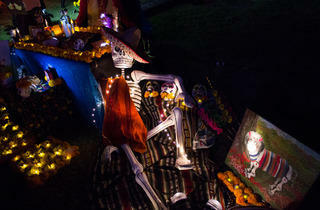 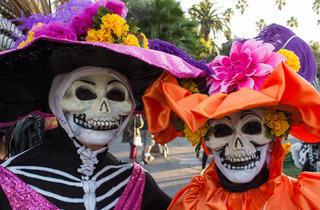 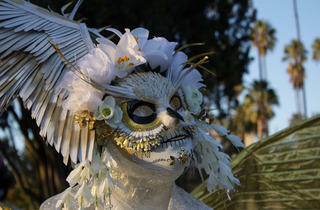 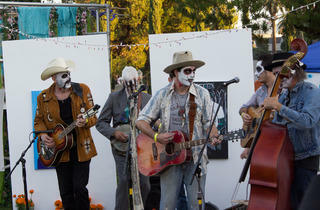 Photograph: Michael JulianoDay of the Dead 2013 at Hollywood Forever. 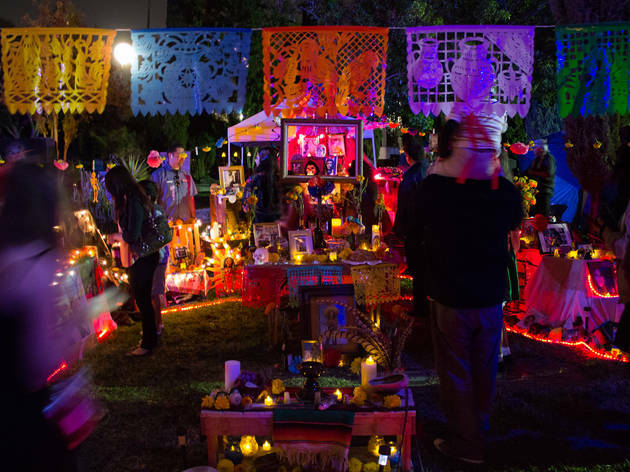 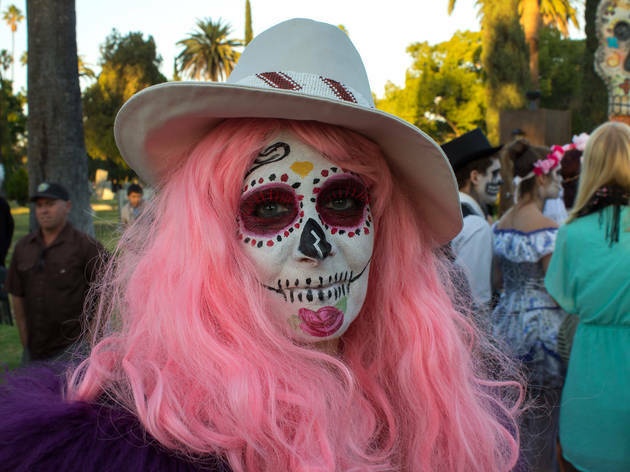 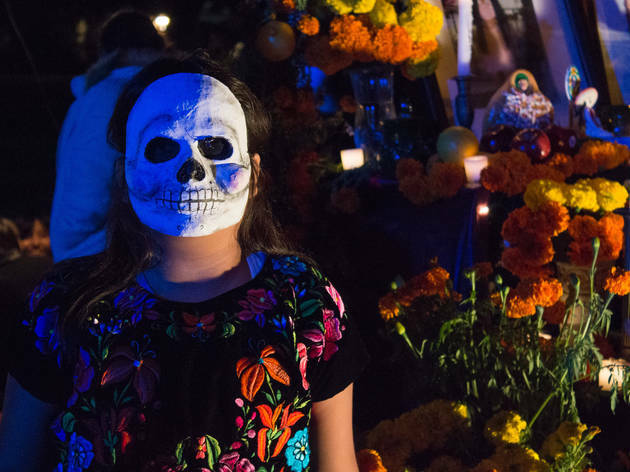 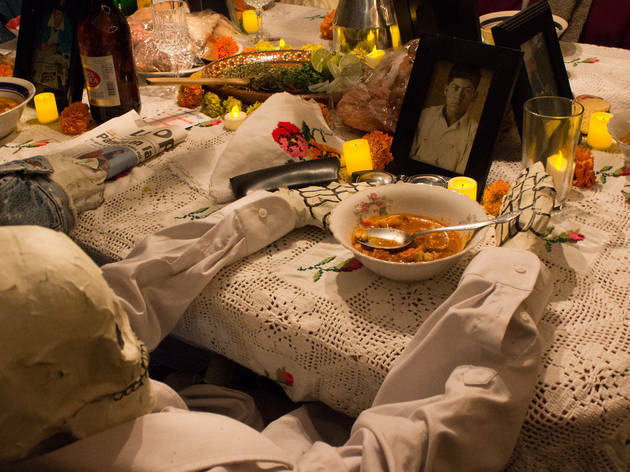 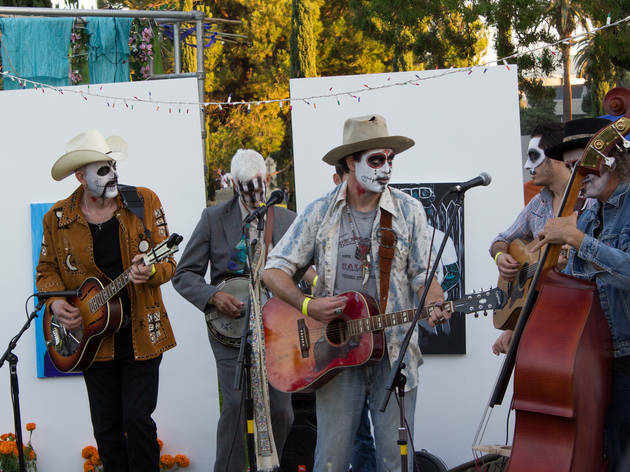 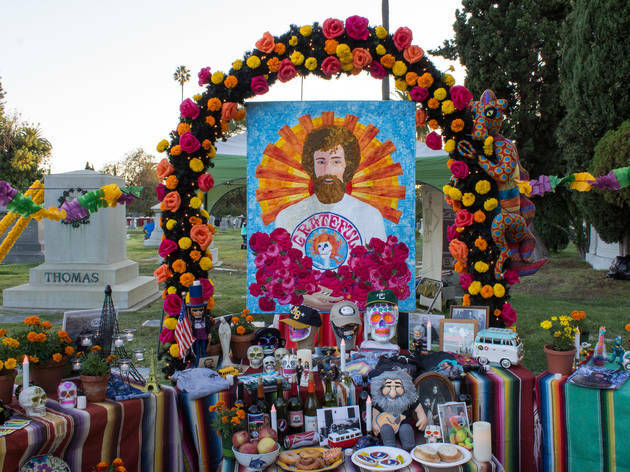 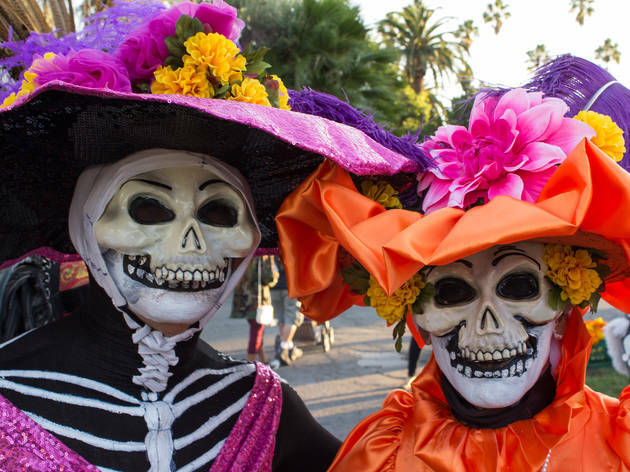 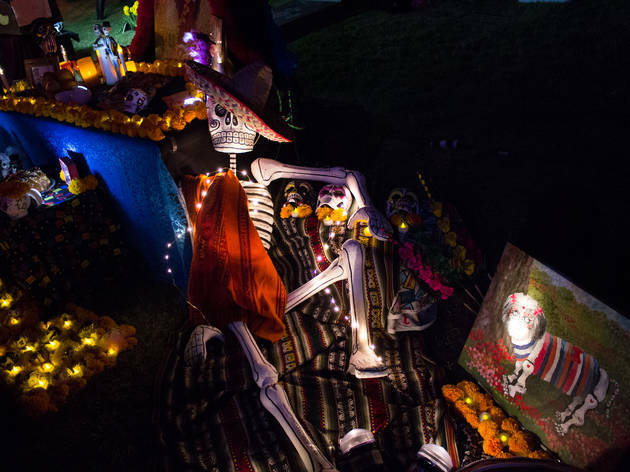 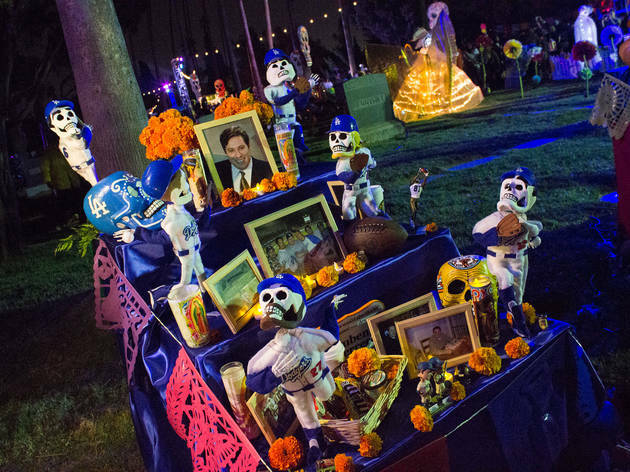 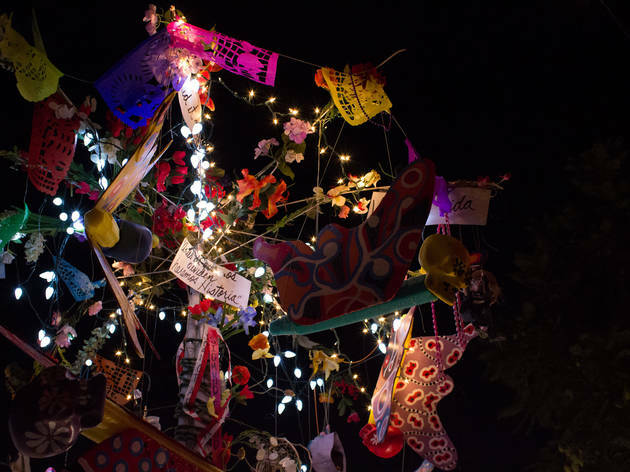 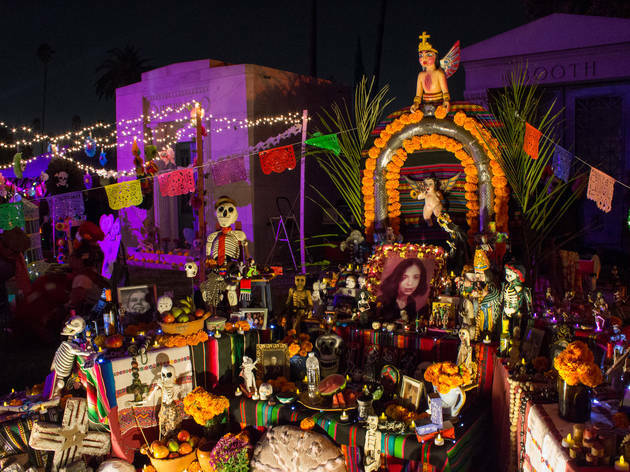 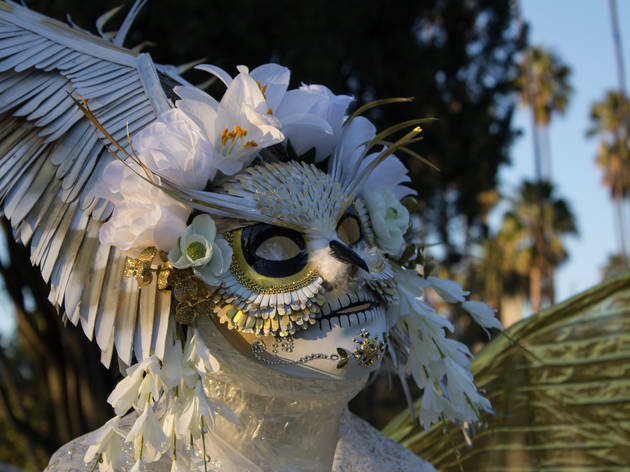 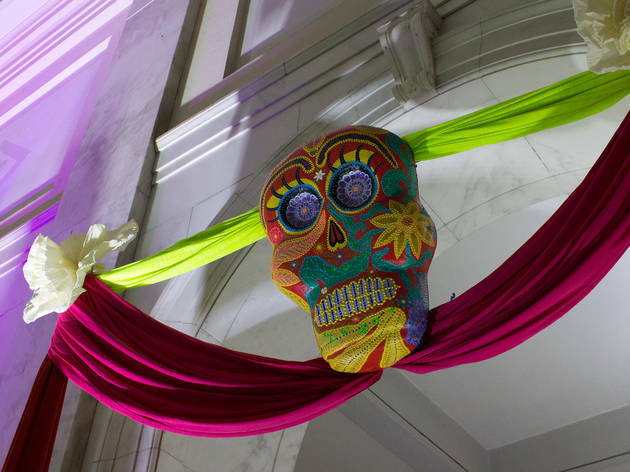 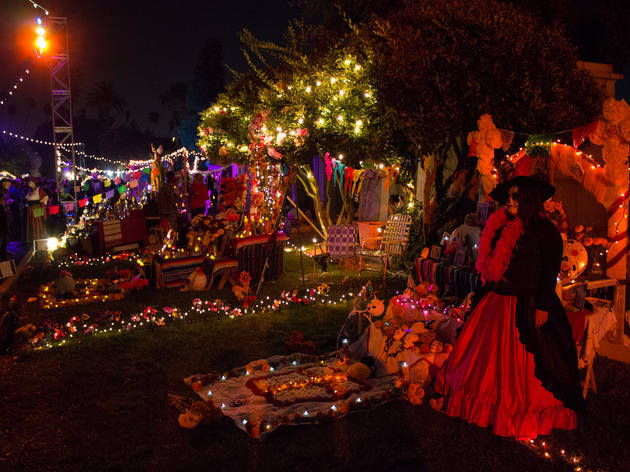 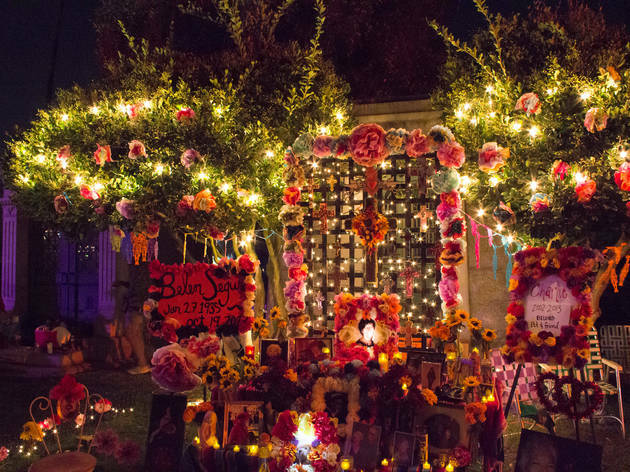 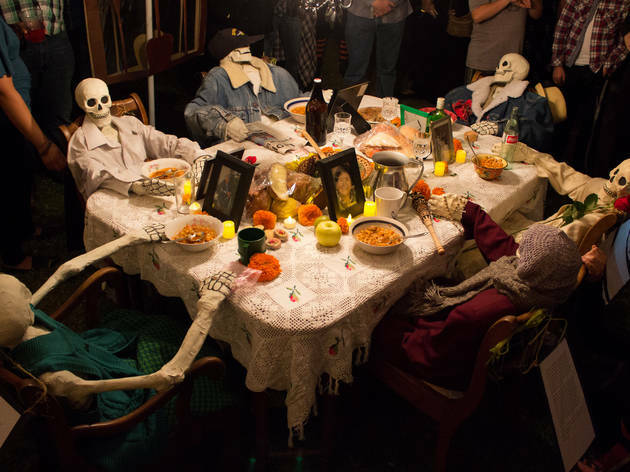 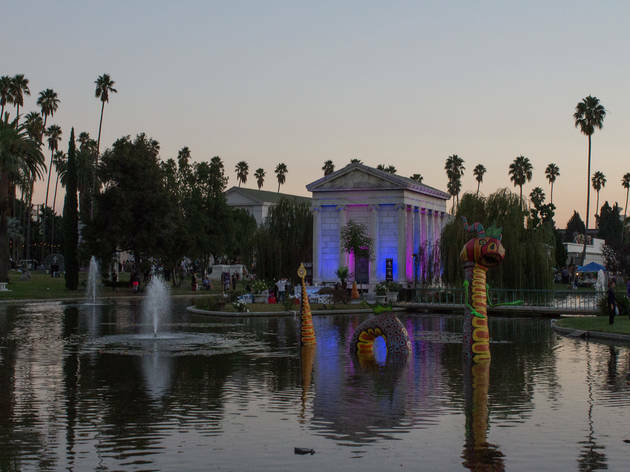 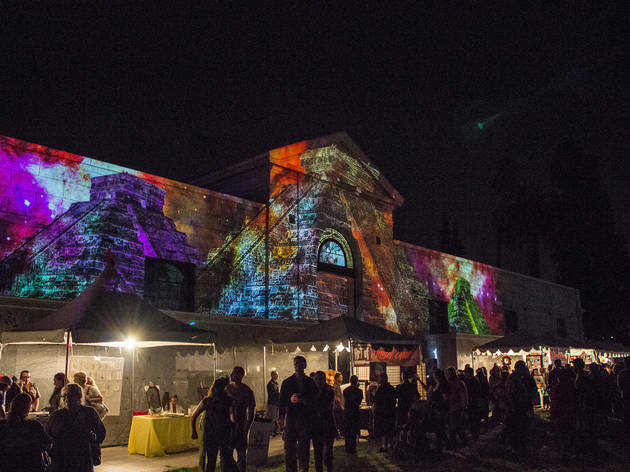 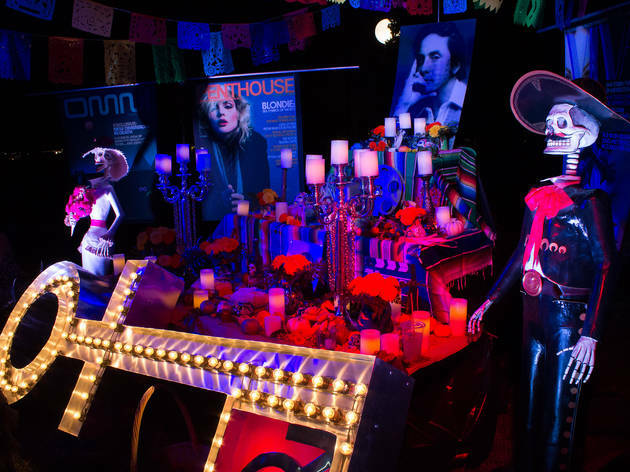 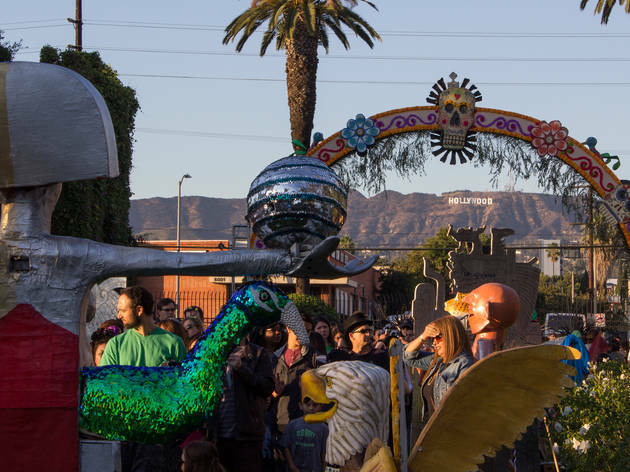 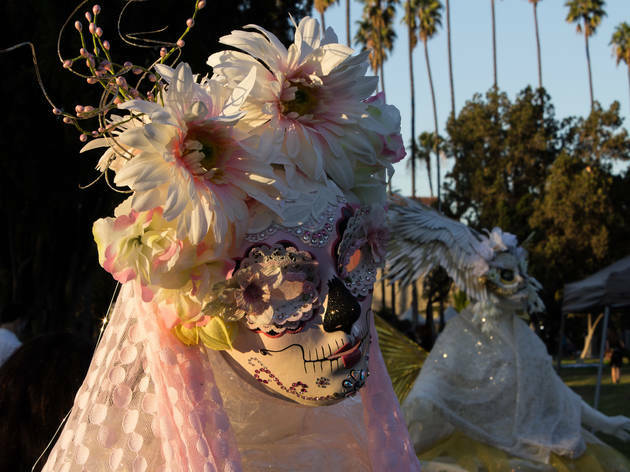 There's no holiday in LA quite as vibrant as Day of the Dead, and nobody celebrates the Mexican tribute to the dead quite like Hollywood Forever. 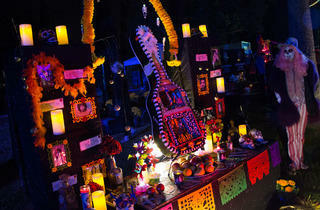 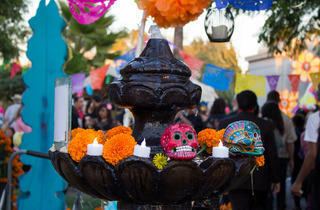 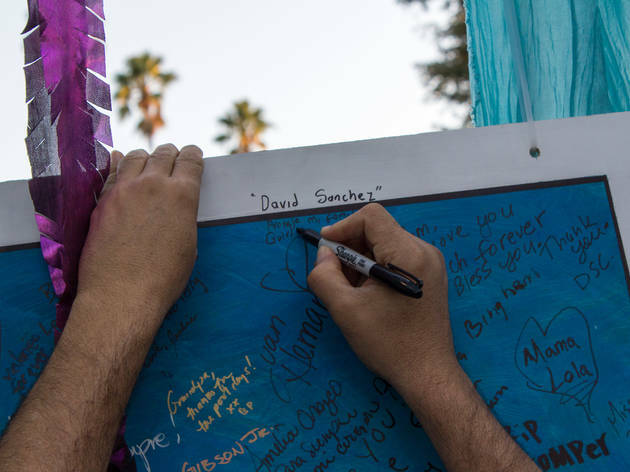 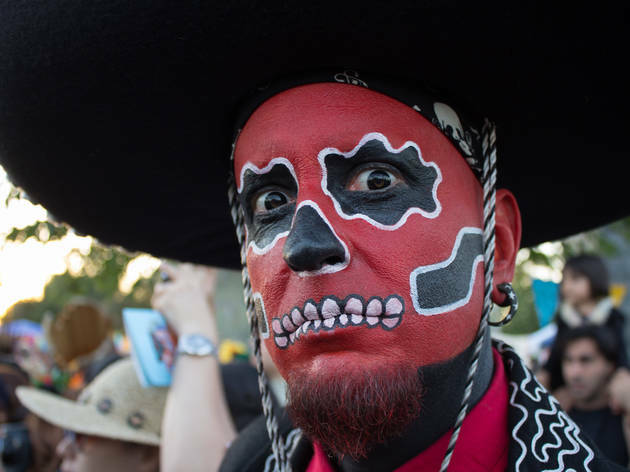 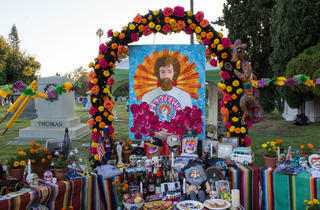 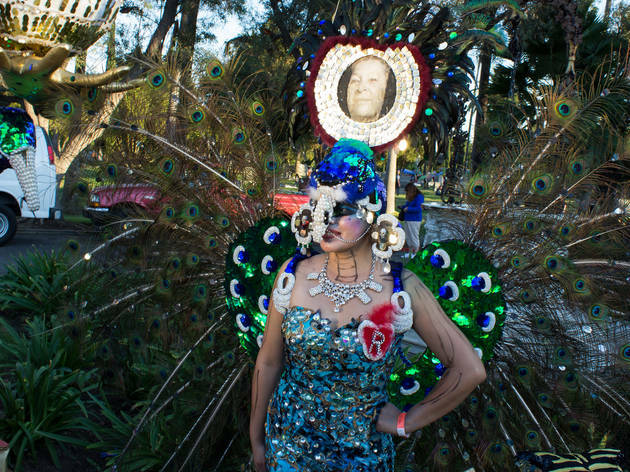 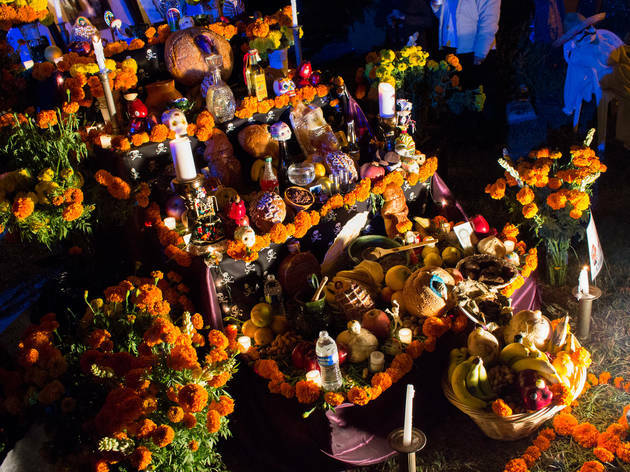 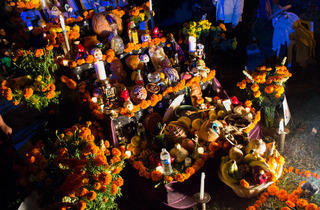 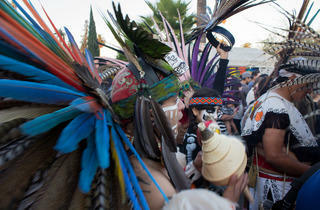 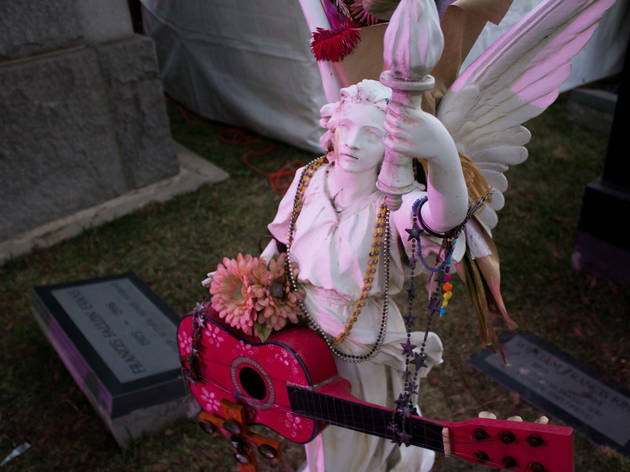 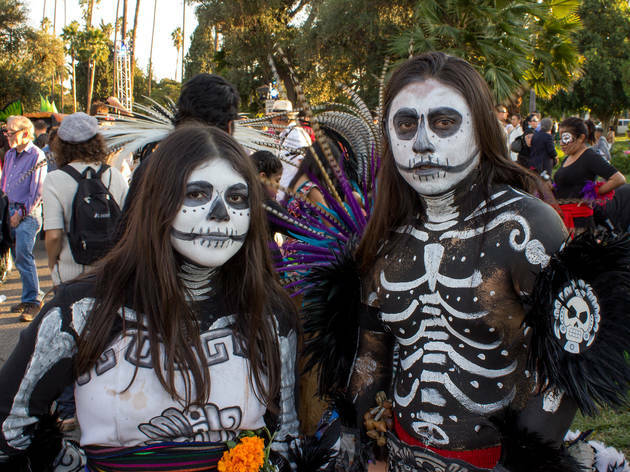 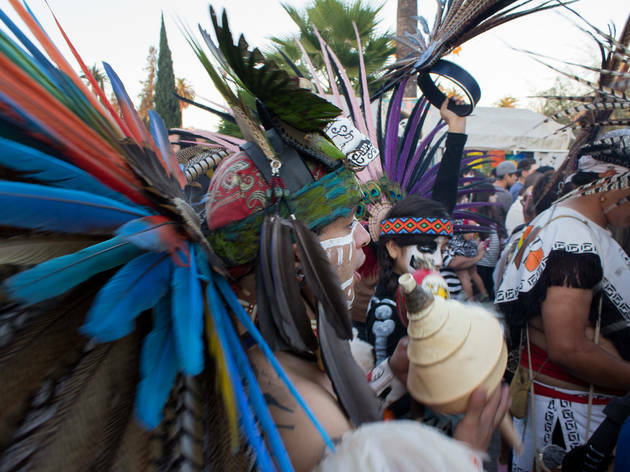 Thousands of Angelenos descended upon the cemetery for an exuberant showcase of musical performances, traditional Aztec dances and elaborate altars. 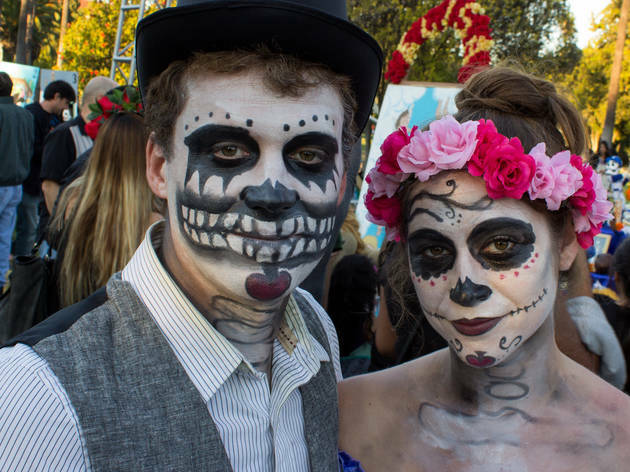 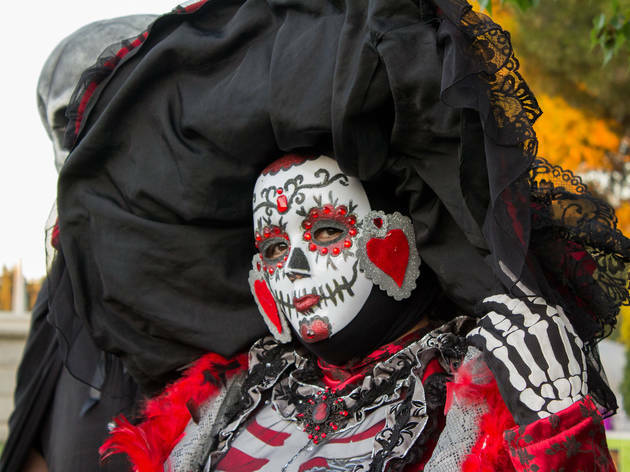 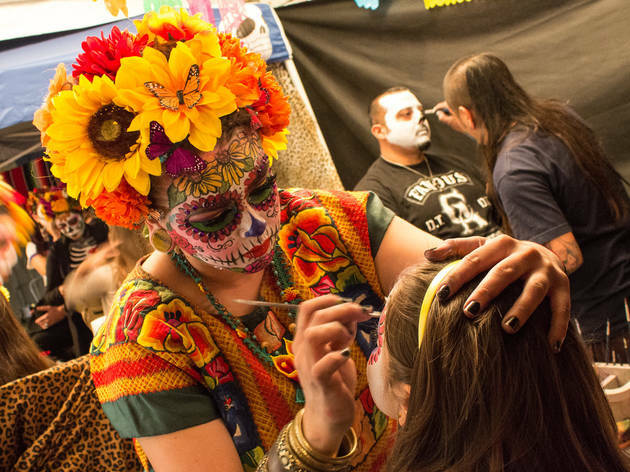 We spent a day and night among the sugar skulls and marigolds to bring you the finest face paintings, calaca costumes and deathly decorations at Hollywood's top-notch Día de los Muertos festival.